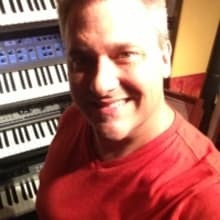 Michael Maddox is a solo composer/arranger working out of a private studio in Tallahassee, Florida, though he frequently ships from his office in Cairo, Georgia (so don't be freaked out). He has a gear problem: he's up to his ears in equipment and instruments! Your mission is to help him CLEAR OUT SOME SPACE!